Whether you're a seasoned pro or just off your stabilizers, we've got the best cycling apps to take your biking to the next level. Remember last year when Mr Bradley Wiggins tore up the Tour De France and then he walked away with Olympic gold? For many of us, seeing the successful British Olympian in action was all the convincing we needed to let our sideburns grow freely and get on our bikes. But if you've waited for that big ball of fire up in the sky to show up before hitting the road on one of the best bikes to buy, here's the cycling apps to convince you to keep on riding. The sleek looking GPS app will let you record all your times, challenge friends, and hook up heart rate sensors for even more comprehensive stats. If you go premium (From £3.99 a month), you'll be able to see how hard you are pedaling and gloat about your position on the leaderboard. A free accompaniment to the Barclays Cycle Hire in London, this intuitive app helps find “Boris Bikes” around the capital. Colour coded dots overlaid on the map indicate availability in specific locations, while a rental timer makes you aware of any upcoming price increases. Updating features requires internet connection, naturally. Want to get the best possible comfort or performance whilst riding? 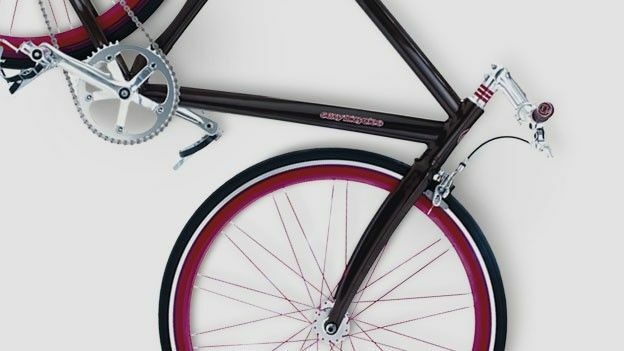 SizeMyBike aims to provide the optimum bike fittings from your measurements. Whether you planning to purchase a road bike or a mountain bike, this could well save you forking out on an expensive shop fitting. This alternative GPS tracking app will accurately record your workout data all laid out on interactive map to track your routes. If you decide to get the Plus version, you'll also be able to integrate your iPod music, use a GPS camera and get voice prompts to keep track of progress without having to swipe through your smartphone. Brakes broken? Handlebar unstable? The Bike Doctor app will try to solve these problems and more with step-by-step instructions for maintenance and safety checks before getting on the saddle. It should hopefully save you the odd trip or two to the bike repair shop. Building your own bike? Let this app do the number crunching for you. It'll calculate all manner of things from gear ratios to ideal tyre size – even the wear you can expect on your tyres. Helping to bring training and your social world much closer together, Endomondo tracks a host of sports and offers all the data tracking you will ever need as well as setting you challenges each month to help keep you motivated. You can keep everyone up to date with your progress on Facebook and Twitter while a low power mode means you can conserve you phone battery on long distance rides.